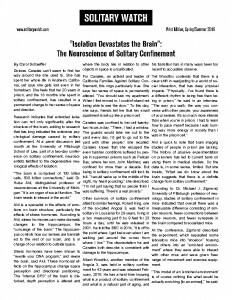 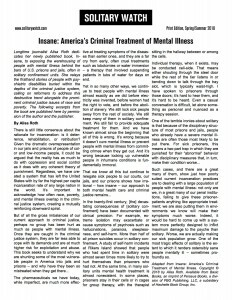 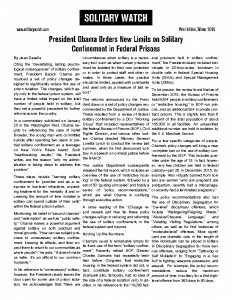 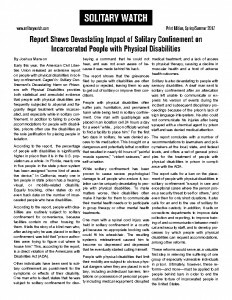 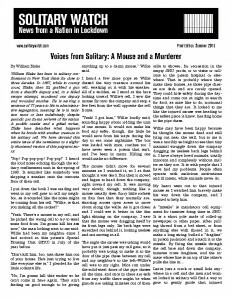 Several times a year, Solitary Watch publishes a print edition, in a four-page newsletter format, with selected articles from the previous months. 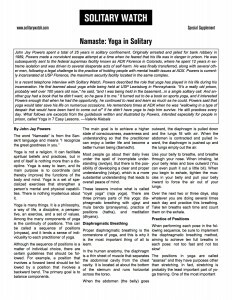 Copies are available for download as PDF files, below. 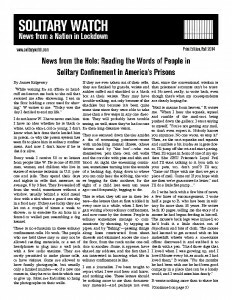 The print edition is also sent free of charge to more than 5,000 people in solitary confinement in prisons and jails across the country, supported by donations to our Lifelines to Solitary project. 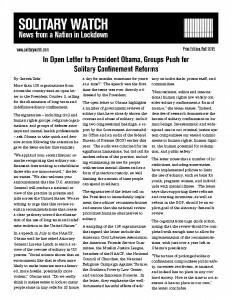 To request that a copy be sent to an incarcerated individual, please send their complete address to info@solitarywatch.com or to Solitary Watch, PO Box 11374, Washington, DC 20008.